Certain games really do endear themselves to you and never let you go. For me, one of those games was the phenomenal Parasite Eve and it’s sequel. So, with the recent news of Square-Enix renewing the trademark for Parasite Eve, I got a little too excited by the prospect of another game in the series or a remaster/remake of the originals. I think that a full remake of Parasite Eve could be incredible, as the game itself was an intense and unique twist on the survival horror genre. I didn’t stop there though, as my brain shot off with thinking of other games from when I was younger that I would either love to see remastered or remade for modern consoles; so, prepare yourself for a lot of whining from me that these things don’t already exist for me to gorge myself on. I really had to focus to restrict myself in terms of JRPGs or I could just as easily make this entire list just that sole genre (The Last Story anyone? 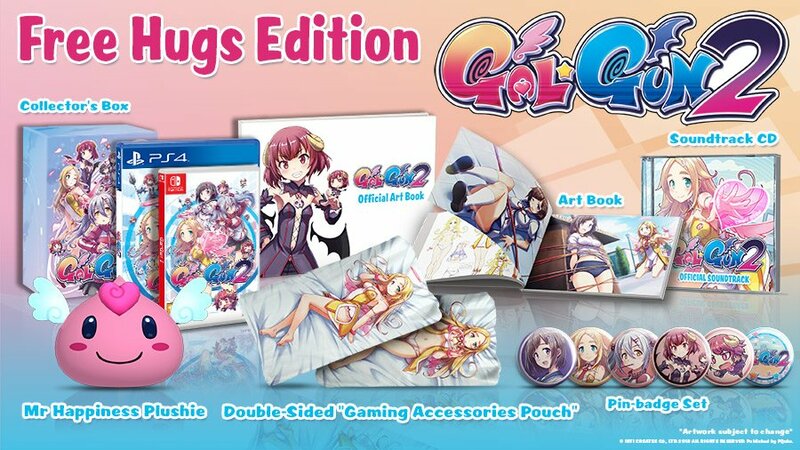 ), so for one of the two JRPGs on this list, I had to go with possibly the best example of the genre that has ever been made. In many ways, this was always destined for greatness with the holy trinity of Hironobu Sakaguchi, Yuji Horii, and Akira Toriyama all involved with the game. However, even in my wildest dreams, I didn’t imagine that the end result would be so close to perfection. The streamlined approach to progression, coupled with some of the most satisfying turn-based combat ever coded, and a time-travel narrative that didn’t feel convoluted or messy, made a game that feels truly unique, emotional, and one that is a joy to play from beginning to end. Incomprehensible Steam version screw up aside, I would love to see this game fully remastered for modern consoles; just don’t go messing with anything, I want it exactly the same Square-Enix, don’t you go and Final Fantasy VII this game because I will personally come out to Japan and slap every one of you. 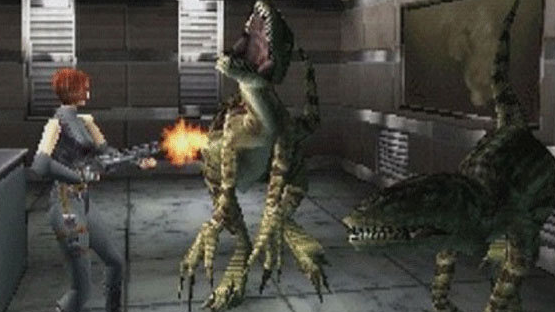 Although Resident Evil is my personal favourite series of the survival horror genre, it cannot be understated just how much I enjoyed playing Capcom’s other attempt to nail the genre, the atmospheric Dino Crisis for the original Playstation back in 1999. There was nothing quite running around the dinosaur-ridden island facility as Regina making sure all of the creatures went rapidly back to being extinct. Most of my reason for wanting this to be on this list is just how much more impressive it could be with a little bit of visual TLC. Although the game itself has aged relatively well in terms of gameplay, it looks very rough by today’s standards. Moments like the bosses, the first velociraptor attack, or the appearance of the tyrannosaurus rex could be breathtaking and terrifying in modern engines. 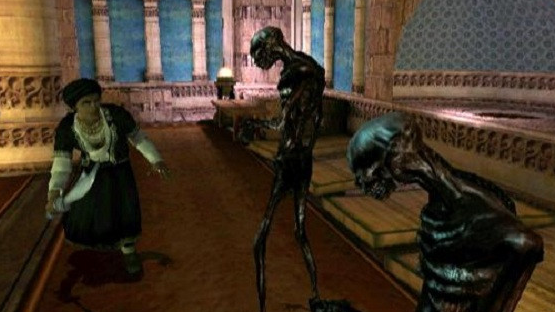 What’s more, if a large scale remake were to occur, I genuinely feel that the encroaching feeling of being stalked by the creatures of the island could easily push this game above even the stellar Resident Evil remake. This deserves to be remade, just please Capcom, alter the puzzles a little to make them less dull if you do make the great decision of bringing this back. Why are people not clamouring to have this remastered already? Eternal Darkness is perhaps one of the best horror games to ever have graced consoles, taking the framework of games in the genre that had come before it, and adding additional layers and features to create something both unique and intensely terrifying. The end result was Eternal Darkness: Sanity’s Requiem, a GameCube exclusive that deserves a second chance. 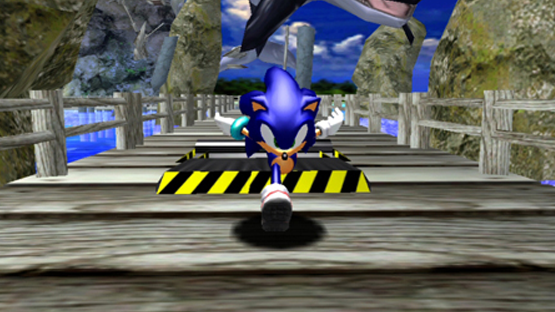 The main draw to the game is the “sanity effects”, which were famously effects to the game based on the sanity levels of the characters involved, sometimes even breaking the fourth wall to affect the player directly. When you added multiple playable characters, multiple story paths, and a robust Magick system, the game didn’t even have to simply rely on the main gameplay hook to impress. If there’s one thing that would need to be refined if Eternal Darkness were to be remastered, it would be the visuals, which have not held against the tides of time. 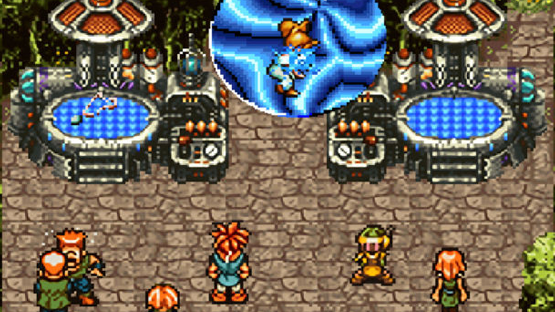 Personally, however, I would rather see a ground-up remake, simply because a lot of the more devilish “sanity effects” are now known quantities, and I would love to see newer and different ones to mess with the player. Not many people remember this Capcom hack and slash title from the Playstation 2, and for shame. 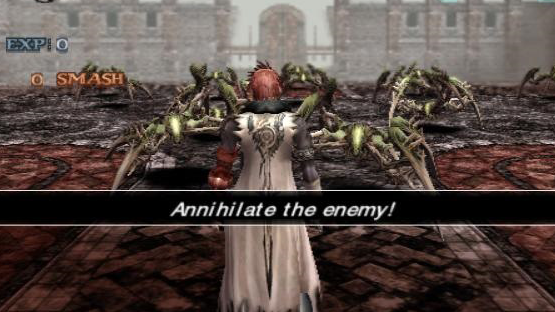 Excessively edgy, and without the self-knowing campness of the similarly constructed Devil May Cry, Chaos Legion suffered somewhat owing to its less frivolous take on the character action genre. In fact, it’s probably the fact that it takes itself so seriously that resulted in its cousin faring better. 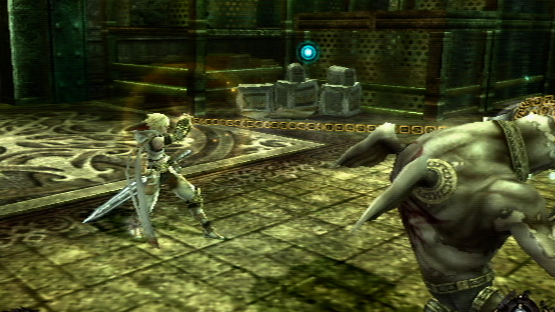 The shame in this is that some of the mechanics involved in the game, such as the legion system that allowed the player to augment their playstyle with different creatures with their own powers, showed that a lot had been learned from the arguable shortcomings of Devil May Cry to create a far smoother and flexible gameplay experience. Also, as a lot of the game is set in open, outside locations, the game still looks beautiful even in a post-HD era. In terms of refinements, really only a remaster is needed for Chaos Legion to compete with modern titles. An upscaling of the visuals, and perhaps a little bit of a touch up to the characters so that they look less uncanny valley, and the game would look incredible. The gameplay doesn’t really need touching at all really, apart from perhaps a framerate boost. Even talking about this game makes me want to play it again. Yes, I know, the story is possibly one of the worst narratives of mankind’s entire fictional history. But, Sonic Adventure stands as possibly one of the best Sonic games of all time in my opinion. 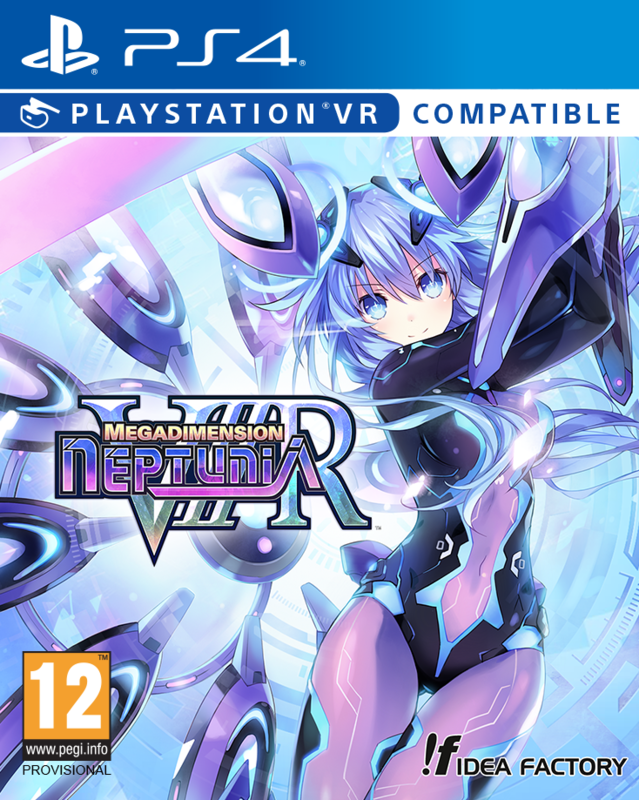 At the very least, it cannot be denied that this was a huge, if not entirely sure-footed, step forwards for the series with multiple playable characters, a sprawling inter-connected story, and a huge world with large amounts to see and do. It’s not without its problems, but the moment-to-moment gameplay on display here is tremendous fun and incredibly solid especially in comparison to some of the disastrous 3D Sonic titles since. I have such fond memories of running through Emerald Coast for the first time, with the killer whale chase and beautiful lighting (for the time), and would love to do that and everything else again (even the story of Big the Cat, I guess). With this, I think only a remaster would be needed as the artstyle, music and overall presentation is still pretty solid. The only change I would really want to see would be making the Chao Garden a little more fleshed out because I absolutely loved looking after those adorable little critters and would love to have more options for activities. I’m up to my eyeballs in love for the creative output of From Software, having consumed the gameplay and lore of every instalment of the Souls games and Bloodborne with lustre. However, none of these games have resonated as much with me as the very first game in the Souls series; Demon’s Souls, a game that was cruelly overlooked in place of an arguably mediocre “remaster” of Dark Souls. Hidetaka Miyazaki’s breakthrough title, originally deemed a failure before he stepped in to helm the project, took the world by storm. 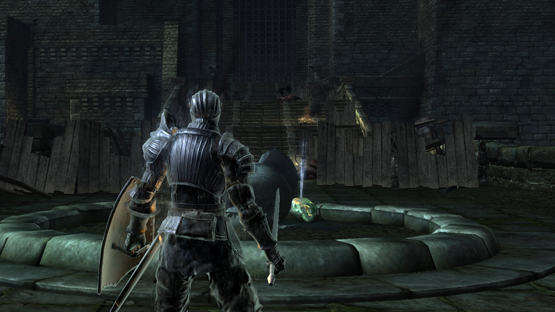 Demon’s Souls had a sombre and foreboding atmosphere, desperately hopeless world inevitably heading towards its destruction, imposing and powerful monsters, and punishing difficulty in its gameplay. The world of Boletaria, and the whole of this game, has aged tremendously well and arguably looks better than Dark Souls does, but a lick of paint would make this game simply shine even by modern standards. In fact, the only changes I could even think to make would be quality of life alterations like allowing the consumption of multiple Moon Grass items at once, or reducing the loading times a little as you travel between the world and the Nexus. This action-RPG was one of three RPGs released for the Wii, and unfortunately was massively overshadowed by the other two (Xenoblade Chronicles and The Last Story), but it really didn’t deserve such a fate. It’s understandable how, with its initially awkward controls and markedly different pacing and direction from the others, it was pushed to one side. However, the journey of Aeron through the Thirteen Towers is an incredible experience that I would happily recommend to anyone to at least try. It can’t be denied how well the various story elements at work here are handled, especially that of Elena and her carnivorous curse. As the ever encroaching curse is always on the mind of the player, it adds a real sense of urgency to the general gameplay, and also gives some of my personally most uncomfortable story moments in the instances in which she is forced to consume the flesh of monsters to stave the curse. The greatest asset to Pandora’s Tower is that, with only a few refinements, this could be an incredible modern title. 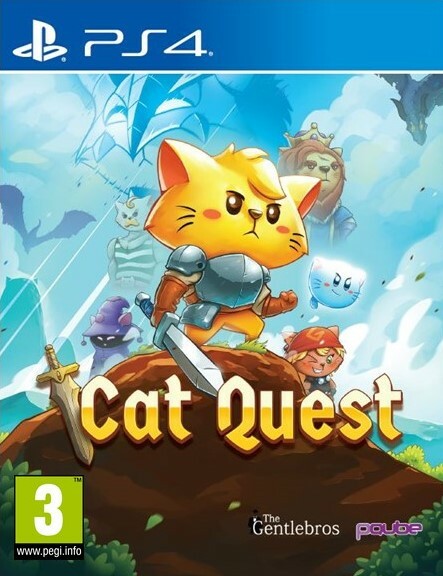 The combat is already a thoroughly enjoyable, the puzzles to progress through the various towers devilish, the boss encounters challenging, and the world engrossing. In fact, I would go as far as to say that this would only need a graphical upgrade to make this a decent remastered title. Another forgotten JRPG, this time hailing from the original Playstation, I personally had an absolute blast playing this back in the day. With a tremendous amount of very clever features and mechanics, Vagrant Story was (and still remains) one of the most unique JRPGs ever made. Perhaps even standing higher than even the golden era of Final Fantasy or even the iconic Dragon Quest series. With one of the most interesting narratives in the genre, a compelling protagonist, and an incredible world to explore, this game was a revelation now and still stands as such. This engrossing experience was only deepened by the Risk system, which during longer battles affected Ashley’s concentration and therefore his accuracy and defense. With this, the weapon types, and ability to target particular body parts of enemies, the combat in the game is both satisfying and strategic. 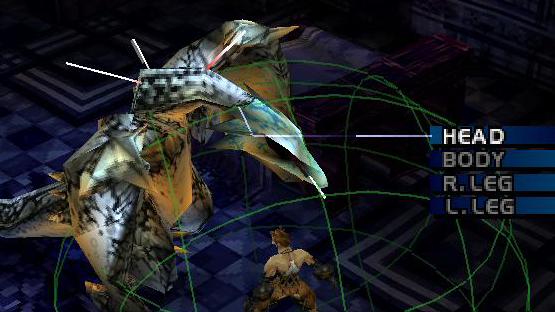 Vagrant Story is an odd one for me, in that I would love a ground up remake, but I’m aware that some of the things I love about the game would likely be lost or “improved” as they don’t really gel with modern sensibilities. However, I don’t think that a remaster would really do Lea Mondé justice. Maybe just a straight port for modern consoles? Yeah, we’ll go with that. That’s my eight picks, but what would yours be? Let us know in the comments, or on Twitter, and check back for more articles like this and coverage of Japanese titles.